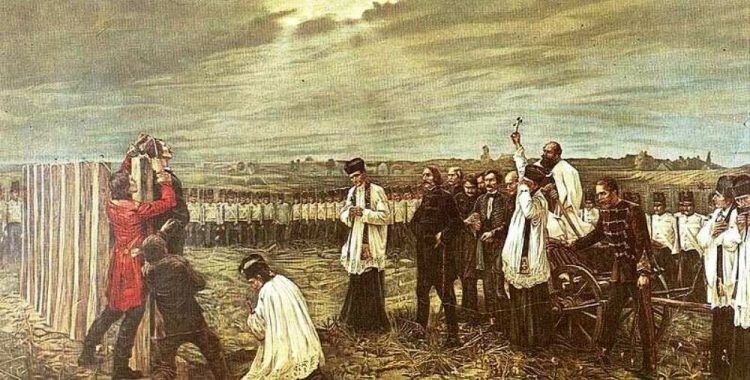 On October 6 Hungary commemorates the anniversary of the execution of the Hungarian rebel generals after the defeat of the Hungarian Revolution of 1848. Execution of the Martyrs of Arad – painting by János Thorma. Germans, Austrians, Armenians, Croats, sons and daughters of many nations who fought for Hungary’s independence would find these statements appalling. Multiculturalism was appreciated in 1848 and the Martyrs of Arad remind us that Hungary’s multiculturalism is a treasure that made the nation stronger and richer. Angela Merkel herself admitted multiculturalism failed, and the type of multiculturalism we are talking about here isn’t the “no outsiders allowed” type, it’s the no forced replacement of the population type. Only 12 were executed at Arad. Bathanyi was later shot by firing-squad. Yes, about 2/3 were of NOT Hungarian descent. But just why is it an issue as of who is from where ? Are all not “out of Africa” anyway. If one want to be picky, likely nobody is Hungarian over there, since in reality hardly any one can know his/her original ancestry. At least not beyond a few generations. But are not we all members of the same human race ? Of cause, Hungarians could not agree with that ?! That is why they are “Hungarians”. Moreover, the half baked home propagandists of Felcsùtia (in the meaning of Hitlerei) don’t know that after the Settlement the Kingdom of Hungary (similar to the Austrian part of the Dual Monarchy) was an inclusive society where many desired to be/be considered Hungarians and this became a major factor in the Hu kind of Risorgimento. The Kingdom of Hungary was a Multi-ethnic country. there was NO multi culturalism in the kingdom of Hungary until the Ottoman empire’s occupation. Only than an eastern Musulman culture has been present, but it has not taken root, and left NO remnant of. Today it is not the cultural influence they are scared of, nut the Islam religious influence. And that is understandable to a degree, as Islam is mandetory religion and synonomous with the state’s power. Do not allow “family planning”, a kind of mandated population propogation. But is that just what the present PM of Hungary was advocating ? More babies, more children and more people. Mr. Lazar, just declare that you are in favor of migration. That is fine. Most Hungarians living in Hungary do not agree with you. Hungary is for Hungarians, that is a reasonable statement. Hungary lacked sovereignty in 1948, hence the uprising. There are problems with multiculturalism and Hungary does not wish to have those problems or costs. It would be nice if you could accept their wishes of the Hungarian people, it is their right to chose whom they wish to live with. Mr. Lázár, what exactly these Martyrs of Arad were executed by Julius Jacob von Haynau? Let’s look a bit deeper on this issue of the excited military officers at Arad. Has Kossuth ever took any responcibility for their execution? Or has any one ever pointed to the fact of reality that the war was absolutely unnccessary. As matter of fact, out right idiotic. On the 15th of March , 1948, right after Petofi’s ‘Talpra Magyar’, the enthusiastic crowd marched to the Nador’s office, who, without any objection accepted the 12 point demands of the Budapest crowed. So did the emperor Lipot. So Hungary was free and independent, had her own Parlament. Kossuth’s action of recruting a 200,000 men army was a declaration of war against Wienna. It only caused a 20 year reign of terror. Kossuth even vehemently opposed and worked against the 1868 compromise. 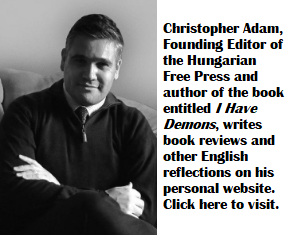 It is up to any one’s itelect to assume what Hungary could have achieved IF the was had been avoided in 1848. In 1914 Hungary might have even been able to stand on her own against the war war against Serbia. Europe might have been able to avoid a four year bloody war. Politicians are the world’s biggest trouble makers, mankind’s number one enemy. correction …. 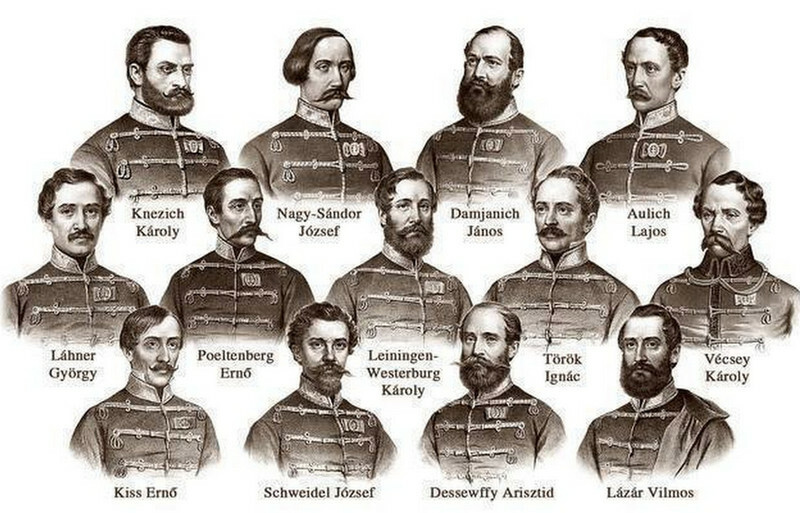 Mr. Lázár, why exactly these Martyrs of Arad were executed by Julius Jacob von Haynau? NO, they were sentenced to death for treason by an Austrian Imperial Military Court on Haynau’s order. They were actually officers’ of the Austrian Imperial Army, they all swore out an oath to be loyal to the emperor. Just as Pal Maleter was sentenced to death for joining the rebels against the communist government. The only difference was that Maleter swore to be loyal to the ‘working class of Hungary’. But that was only dirty propaganda catch. Tyrant know no mercy ! Otherwise they would not be tyrants. They just can not be humans when dealing with human life, decency, dignity and the basic respect for all other humans and their God given rights. Since there were Jews living in what is today Hungary at least 650 years before any Magyar ever set foot there, Hungary clearly was multi-ethnic and multi-cultural in the past. It was never homogeneous, despite the Arrow Cross’s efforts to make it so in 1943 or Orban’s today. Is multiculturalism beneficial to Hungary? Depends on what meaning we give to the word.Meanwhile ,it is well known in the world that Hungary’s political and social system is gangrened by corruption . Hungary had some guests in the past : Germans, Russians etc…..this time maybe the Vikings will help. Scandinavians are the least corrupt in the world . But it was NOT Hungary !!! But privinces of the Roman Empire. Jewish people played a very important role in the administration of the Roman Empire. When did Jewish people played any role in the administration of the Roman Empire?! “Multiculturalism has failed in Germany.” this sentence was told by Angela Merkel in 2010. What Merkel wants is not multiculturalism, but cheap labour. What did she really say? And did she mean? She said it failed and that Germany needs to find ways to make it work. She DIDN’T say Germany shouldn’t be or isn’t already a multicultural society or that migrants were not welcomed. So, it’s not that she doesn’t want foreign-born migrants. She also said that Islam was “part of Germany”, like Christianity and Judaism. She wants a better multiculturalism than they had 18 years ago. Around the time Merkel gave this speech, the German Government had created a new organization (Federal Office for Migration and Refugees (BAMF) ) to help with the integration of migrants. Prior to this Germany relied on poorly funded welfare groups to work to integrate foreign-born citizens. That didn’t work. Today the government has put into new measure designed to answer her criticisms and many of these policies were put in place by her. Such measures include the integration courses introduced in connection with the Immigration Law. These courses consist of language classes for a total of 600 hours as well as a 100-hour orientation class to acquire knowledge about the country, for example regarding Germany’s legal system, history, and culture. But your type of the post is typical of many on this site. You post some fragmentary quote and do not provide any context. This amplifies your message, but it doesn’t get at the full truth. Essentially what you are doing is acting as a propagandist. And the best propagandists, take a kernel of truth and embellish it. Congrats, you are an effective propagandist. You are surely joking or deluded or have not studied any history. Multiculturalism is going on as a matter of fact in the global village: instant communications, intensive trade, multinational businesses, cheap travel, international education, research and culture, etc. Those opposing the above are trying to reverse the flow of rivers. Mass migration is a different issue, fraudulently bundled up here by the malicious propaganda of the budding fascists, and has no relevance in the case of Hu, ie. there are no even aspiring migrants in Hu. I live in the most multicultural country in the world, 28% of us were born overseas, it (multiculturalism) works pretty well here; however, Hungarians who fear it need not worry. Few, if any migráns have any desire to settle in Hungary. Orban is “protecting” Hungary from a problem that doesn’t exist, he’s selling elephant repellent; (see how well it works, there are no elephants). creating and maintaining a virtual reality to suit goals of the day, but the elements are classic. – The Road to Unfreedom by Timothy Snyder offering details on how the present day fascists take and hold power. – Fascism – a warning by Madeline Albright.